For those unfamiliar with Doug Noland he uses his accounting background and study of history’s bubbles to chronicle the current global credit bubble. This week he exams the balance sheet of the United States to highlight where we are in history’s largest bubble. It has been my opinion that the so-called neutral rate for interest rates is much lower for the financial sphere than for the real economy. The problem this time is that it is the corporations we invest in that took on too much debt and when they are forced to make deep cuts to spending (to avoid credit downgrades), jobs will be the primary victim. Doug’s focus today is on the record-setting financial ratios of today’s credit bubble. Total Securities ended the quarter at a record 460% of GDP. This compares to previous cycle peaks 379% (Q3 ’07) and 359% (Q1 ’00). Debt Securities ended Q3 at 215% of GDP, up from 200% and 157% to end 2007 and 1999. Equities Securities ended the quarter at a record 245% of GDP versus 172% at the end of 2007 (1999=202%). Treasuries ended the quarter at 84% of GDP, up from 41% at the conclusion of ’07. Though purchases were positive during Q3, (Rest of the World) ROW holdings of U.S. Debt Securities actually contracted nominal $190 billion during the first three quarters of 2018. This contraction in ROW U.S. Debt Securities holdings is in stark contrast to 2017’s gain of $747 billion and the $324 billion increase in 2016. The y-t-d contraction in ROW U.S. Debt Securities is largely explained by a $174 billion contraction in U.S. Corporate Bonds. The confluence of the powerful global tightening of financial conditions, a significant decline in (Rest of World) ROW debt purchases, the slowdown in bank lending and the now tenuous backdrop in the equities marketplace creates an extraordinarily fragile backdrop. Moreover, the current quarter has experienced a sharp slowdown in junk bond issuance and leveraged lending. What’s more, significant deleveraging has commenced in U.S. equities. Overall, it points to a troubling liquidity backdrop for both the markets and the U.S. economy, more generally. The huge increase in ROW Equities holdings is emblematic of speculative “blow-off” dynamics right in the face of rapidly deteriorating fundamental prospects. It recalls heightened systemic fragilities created by dysfunctional market dynamics in early-2000 and, even more so, in the second-half of 2007. At this point, I’ll posit a (not unlikely) possible scenario. De-risking/deleveraging exposes problematic underlying speculative leverage in both equities and corporate Credit. A sharp tightening of corporate Credit conditions weighs on debt issuance and business borrowing more generally. Tighter finance and sinking equities prices engender some reassessment regarding the rationale for aggressive stock buyback programs. Further weighing on inflated market valuations, the rapidly deteriorating backdrop will also provoke some overdue rethink on the M&A front. Meanwhile, the vast chasm between elevated consumer confidence and fading economic prospects will have to narrow. Household Net Worth has inflated $20 TN, or about 100% of GDP, in just the past three years ($50 TN since the end of ’08!). This surge in perceived wealth spurred consumption and boosted auto and home purchases (along with boats, campers, timeshares, cruises, etc.) After stoking discretionary and luxury spending, it’s reasonable to begin anticipating a problematic change in spending patterns. To read Doug’s full post please visit Doug Noland’s Q3 2018 Z.1 and THE Cycle Peak on our other blog. 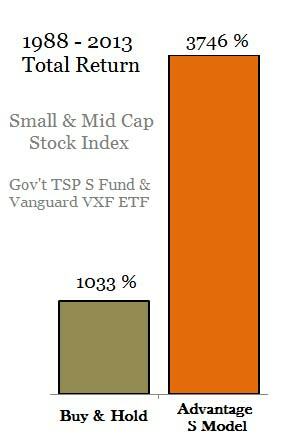 My plan is to focus this blog on TSP and the funds we invest in and move the discussions that focus on cycles and seasonal factors to our other blog. Doug’s excellent analysis belongs on our other blog, but we will continue to provide the highlights of his analysis here similar to this post.